Where is our entrepreneurial spirit? With the pan-Canadian Pharmaceutical Alliance set to kick in April 1, 2018, representing another 25-40 per cent drop in revenues for the top 70 generic molecules, how does community pharmacy respond? 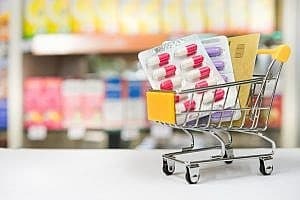 Given that these price reductions are directly correlated to pharmacy profitability, this means that most, if not all, pharmacy owners will need to change the way they run their businesses in order to remain profitable. For some pharmacies and pharmacists, the question of whether they can even sustain their existing practice may come into question. Beginning in 2006, when Ontario first introduced the Transparency Drug System for Patients Act (TDSPA), pharmacy has since seen many waves of cuts that have reduced pharmacists’ fees and/or manufacturer allowances over the years. Should we expect that even if community pharmacy can survive this tsunami that another one isn’t still yet to come? Based on a growing and aging population, along with a limitation of public funding, we can probably expect governments to continue to put downward pressures on pharmacy margins in coming years. Does community pharmacy just wait it out and eventually die by a thousand cuts? Or is there another way? For community pharmacy, the first step toward the future is to let go of the past. Before it’s too late, pharmacy owners need to question everything about their businesses. Do my pharmacists have special training or certifications? Where can I add value that might differentiate my practice? What are my strengths, weaknesses, opportunities, threats? The good news is that pharmacists remain vital and valuable members of healthcare delivery in Canada. The business focus has to shift from a product mindset (which has traditionally supported this good work through dispensing fees and manufacturer allowances) to a clinical mindset where pharmacists deliver value to their patients and get paid for this service. The argument to this is that public funding for these activities are limited and also dependent on government funding. While this is true (and variable by provincial jurisdiction), community pharmacies that want to sustain today and thrive tomorrow need to begin transforming their practices. 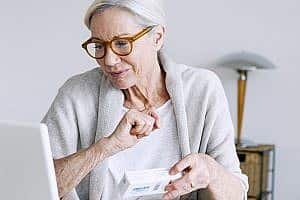 There will be a growing demand for pharmacy services as the population ages and the use of medication increases. Community pharmacies need to lessen their reliance on dispensing fees, manufacturer rebates, and even publicly funded services. It’s time to start figuring out how to serve patients in new ways with innovative services. The governments aren’t to going to sustain community pharmacies. It’s going to be the entrepreneurial spirit of pharmacists to transform their practices that will save the day.